Savoury, tasty and very good for you. 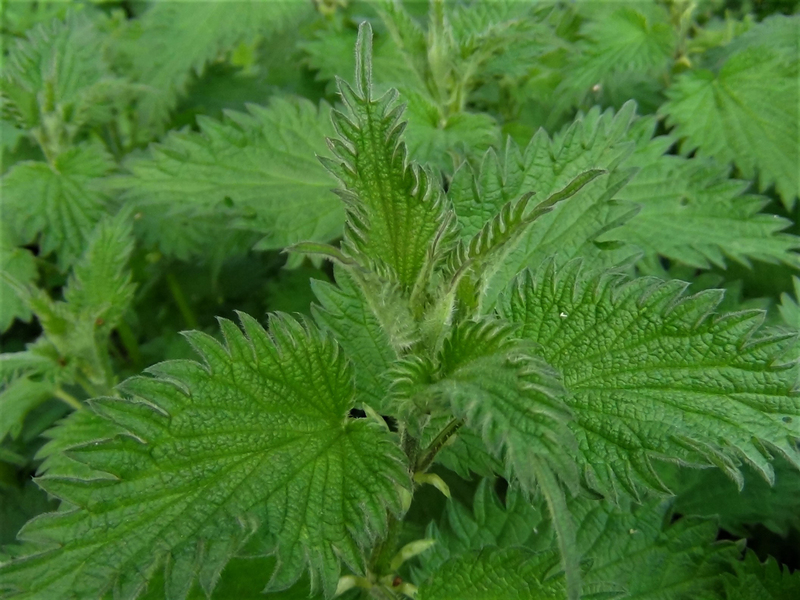 Nettle leaves from plants that are not in flower. There are two methods for these crisps, one healthier than the other. Spray the leaves with oil or spray butter and cook in a hot oven until crisp, about 3-5mins, season and eat immediately. The other method is to deep fry the leaves, for seconds, season and serve. 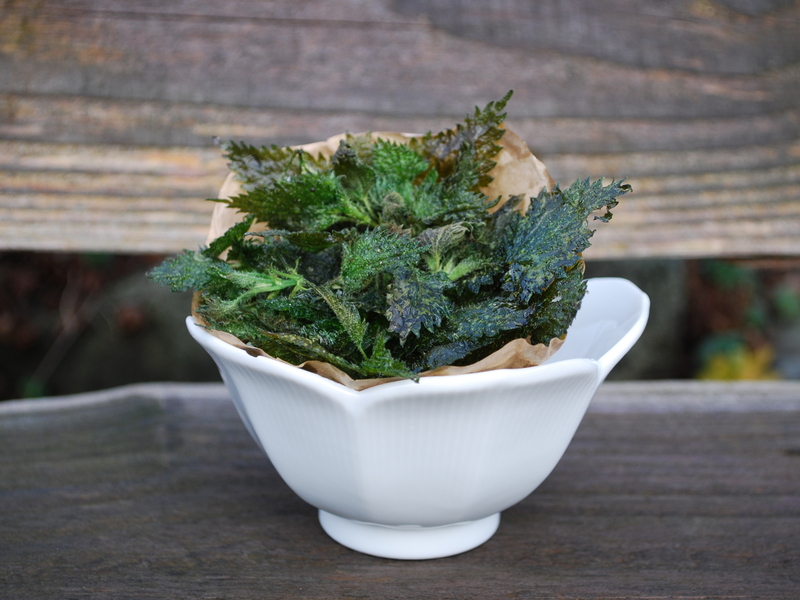 Nettles are a superfood and this is a fun way to get kids to eat greens. and i love getting stung too, so double bonus.